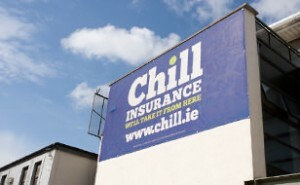 I’m delighted to say that I’ve now begun my role as Digital & Social Media Marketing Manager at Chill Insurance. After 2 ½ great years at Edelman Digital I’m eager to get cracking on this new challenge at an amazing time in Chill’s evolution. Having studied Google Analytics I know this blog has a lot of UK based readers, so for the benefit of you guys; Chill Insurance is a young, Irish insurance intermediary, full of ambition. They are a real success story in what is a challenging economy and have doubled in size since 2010. Needless to say I’m ecstatic to be given the chance to play my part in the next phase of its growth. Initially, my time will be focused on listening, talking and reading. But, I look forward to helping establish Chill’s online strategy, governance and processes to reach, engage and monetize customers so the firm can continue its impressive upward trajectory. It’s a fantastic opportunity and I’m excited about what we can achieve in the online space over the coming months and years.